As with many families during the 90s, my family was a Disney family. In my eyes, though, there were fairy tales far more enrapturing than The Lion King or Pocahontas. My mom had this stash of fairy tale stories that I’d never heard of before—it was from this stash that I’d first learned about The Snow Queen and got a head start on my Frozen disappointment. Fairy tales don’t tend to age well under a critical eye, but I remember there being one story in particular that seemed outwardly feminist, even to my tiny baby mind, which had no idea what feminism even was. 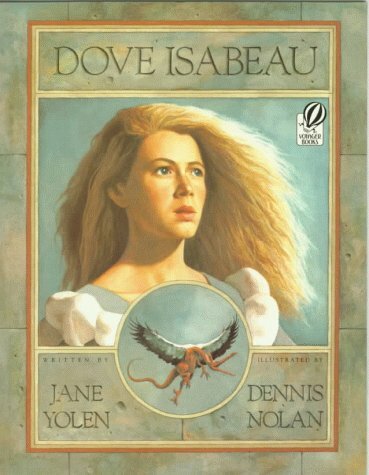 Jane Yolen’s 1989 Dove Isabeau doesn’t manage to escape all of the not great fairy tale tropes, but the agency given to its heroine and the rejection of typical masculinity saving the day is enough to make me forgive the tropes the story does hold onto. I very recently started watching Star vs The Forces of Evil (no spoilers, please!) and was amused by an episode where Star needs to undo a spell she’s cast on Marco. She pulls out the wand’s manual, an ancient, crumbling tome filled with the wisdom of ages of wand users to consult, only to realize that all of their notes are so cryptic and poorly organized that it will take her ages to make any sense of them. This got me thinking about magical journals in general. A common staple of fantasy fiction is a magical guide to the world in question, typically in the form of some kind of handwritten diary or log. Sometimes a book is just a book; I can’t imagine, for example, that Newt’s finished version of Fantastic Beasts and Where to Find Them will be anything but a basic bestiary. That’s not necessarily a bad thing. However, these books are often most compelling when they serve a greater purpose than simply as a how-to or a reference of some kind. By including these books in a layered way, we can add additional complexity to the stories we tell. Harry Potter is a pillar of civilization by this point. What began as a series of children’s/young adult novels is now a virtual empire, with eight movies, several spinoff books, movies of the spinoff books, theme parks, and the website Pottermore to ensure that the franchise is constantly alive and being added to. Given the impact this series has had since its release in the ‘90s, you’d be hard pressed to find someone in the Western world who hasn’t been influenced by it—and it would be nigh-impossible to find someone who hasn’t read the books that have shaped a generation. You’d think that, but you would be wrong—Mike Schubert, a twenty-four-year-old American man, has never read the Harry Potter novels that so defined the childhood of his peers. And so, in a grand experiment, he’s sitting down to read them all one after the other, and discuss them with his Potterhead friends in this week’s web crush: the Potterless podcast. On my latest pre-Halloween adventure through the realm of nostalgia, I decided to revisit a movie that—for some reason—absolutely terrified me as a kid: 1994’s The Pagemaster. To say that any movie terrified me is really something, considering that I saw Indiana Jones and the Temple of Doom at age five and Jurassic Park was my favorite movie at age six, but evidently watching a tiny, animated Macaulay Culkin scamper through an uncanny valley of living books was on another level of disturbing. This uniquely 90s nugget of media is about a boy named Richard who is terrified of absolutely everything until he has to go on an adventure to escape from a library that has somehow been turned into a fantasy realm full of monsters and dragons and pirates and such. Helping him along the way are three anthropomorphized living books with creepy faces and weird little arms and legs. Are you not shaking in your boots yet? Come on. I’m screaming inside but trying to be cool about it. Hi readers! Recently I had the opportunity to interview Bonnie Walling and Steven Savage, the writing team behind Her Eternal Moonlight, a book compiling the experiences of female Sailor Moon fans. 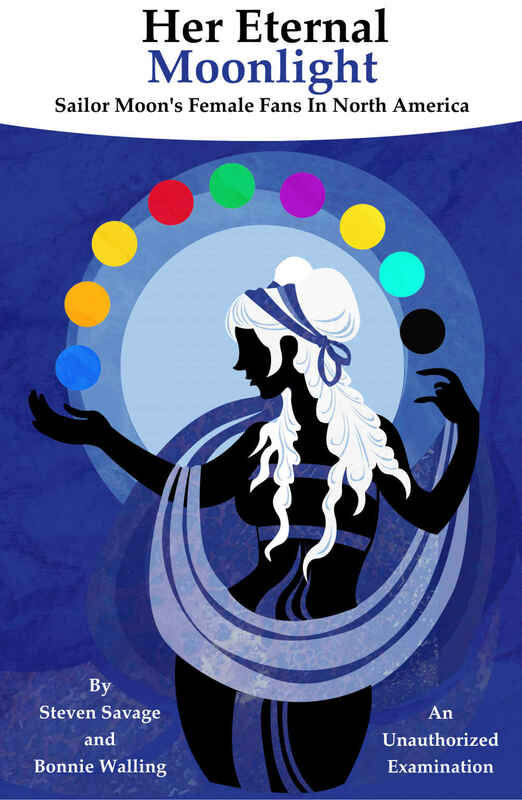 The book features interviews with over thirty fans and discusses the importance of the show’s unique female perspective, the way the emergence of the internet affected its fandom, and how people’s lives have been touched by the story. You can find it at its site and on Amazon! Click below for the interview! I just finished reading the novel Mort(e) by Robert Repino. To call it speculative is by far an understatement. It’s about an apocalyptic future in which a psychic colony of giant ants gifts sentience (and human-equivalent size, and opposable thumbs) to domesticated animals, instigating a human-animal war. The Colony claims to be working with the animals against the human scourge, but it’s more likely that the ants’ Queen is on nobody’s side but her own. Our hero Mort(e) is a neutered, declawed housecat (formerly named Sebastian; post-Change animals tend to discard pet names as “slave names”). While everyone around him is taking sides in the war, Mort(e) just desperately wants to reunite with his pre-Change companion, a female dog named Sheba, and he’s willing to do whatever it takes to do so, even if that means allying with the dwindling human resistance. Unfortunately, even with this complex and intricate premise, the novel still couldn’t do right by its women. I typically don’t like to read sad books. So from the get-go, I was leery of a book titled More Happy Than Not, as anything with a name like that promised to be bittersweet at best. While I wasn’t wrong in this first impression, I don’t regret having read it. More Happy Than Not is a beautifully told story about regret, memory, and queerness in the very near future, and contains an important message about the damage compulsory heterosexuality can do. Major spoilers for the story below the jump, as well as mentions of suicide and violent homophobia.